The real-life story of Sevan Bıçaçkı is so sensational it feels like a Hollywood movie script. When he was 12-years old he began making jewelry in Istanbul’s Grand Bazaar. Through hard work and a natural talent for the craft, over the years Sevan become a celebrated jewelry designer with his absolutely singular style that at once has a sense of history and looks like nothing else that has ever been made before. 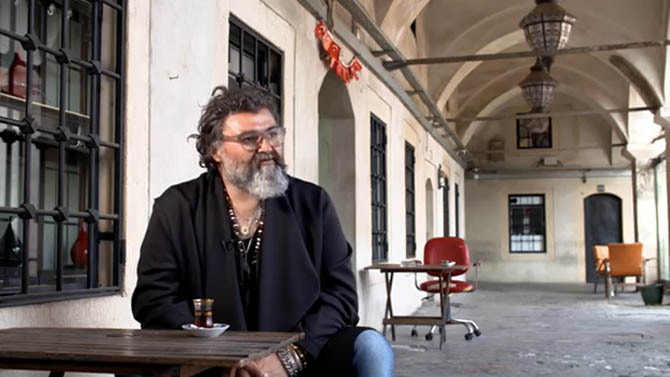 Today, in his magical studio that is adjacent to the Grand Bazaar, Sevan creates and oversees craftsmen who make his bold jewels and over-the-top objects, pieces that would fit right in with the treasures once owned by the sultans and now on display at Topkapi Palace. More than anything else in Sevan’s collections his sensational carved crystal rings depicting narratives of life in Istanbul, painstakingly executed with an age-old reverse carving technique, captured the world’s attention. Gwyneth Paltrow, Tory Burch and Brooke Shields are among his many fans and collectors. 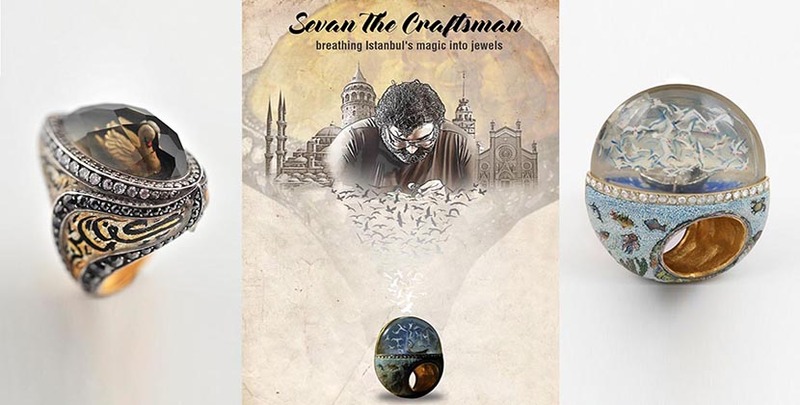 Now, Sevan’s almost unreal life story has been told in a feature-length documentary Sevan the Craftsman: Breathing Istanbul Into Jewels, directed by Umran Safter. It will be screened for the first time in the United States on Monday February 19, 2018, at the Carnegie Institution for Science in Washington, DC. Festival dates and screenings in other cities will be announced in March and April 2018 online at www.sevanbicakcifilm.com. Watch the preview for the film below.